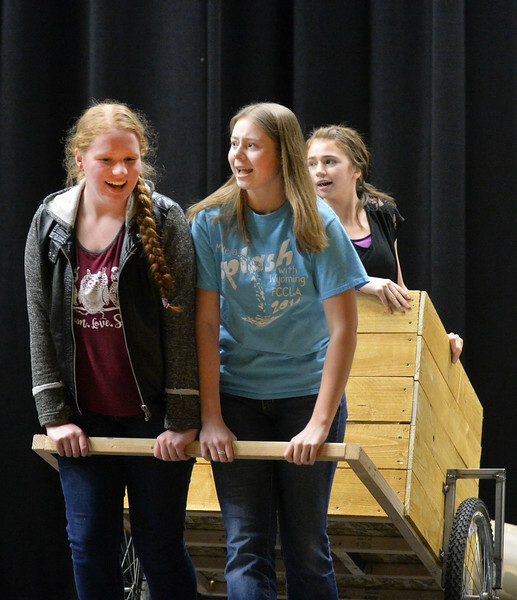 Seniors Emma Balstad, left, and Hannah Johnston pull a cart with sophomore Holly Hutchinson during a rehearsal for “The Great Tie Flume” Tuesday at Tongue River High School. The play, written by Tongue River High School teacher Jason McArthur, focuses on life working on the tie flume in the Bighorn Mountains. The show is free, but tickets are required since seating is limited. Curtain opens March 7, 8 and 9 at 7 p.m. Dinner fundraiser is March 7 at 5 p.m. at Tongue River High School. Call Tongue River High School for tickets: 307-655-2236. 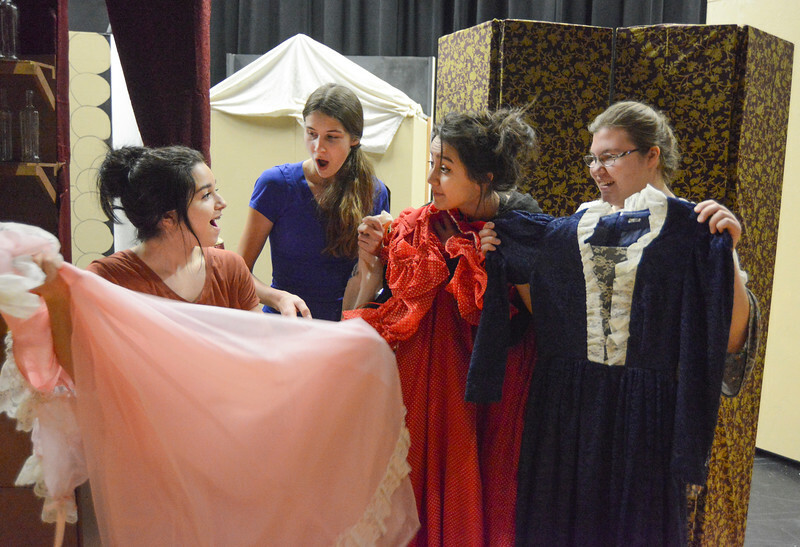 Students, from left, Aliya Gauna, Macey McArthur, Corrim Lamere and Kayla Stimpson compare dresses during a rehearsal for “The Great Tie Flume” Tuesday at Tongue River High School. The play, written by Tongue River High School teacher Jason McArthur, focuses on life working on the tie flume in the Bighorn Mountains. The show is free, but tickets are required since seating is limited. Curtain opens March 7, 8 and 9 at 7 p.m. Dinner fundraiser is March 7 at 5 p.m. at Tongue River High School. Call Tongue River High School for tickets: 307-655-2236. 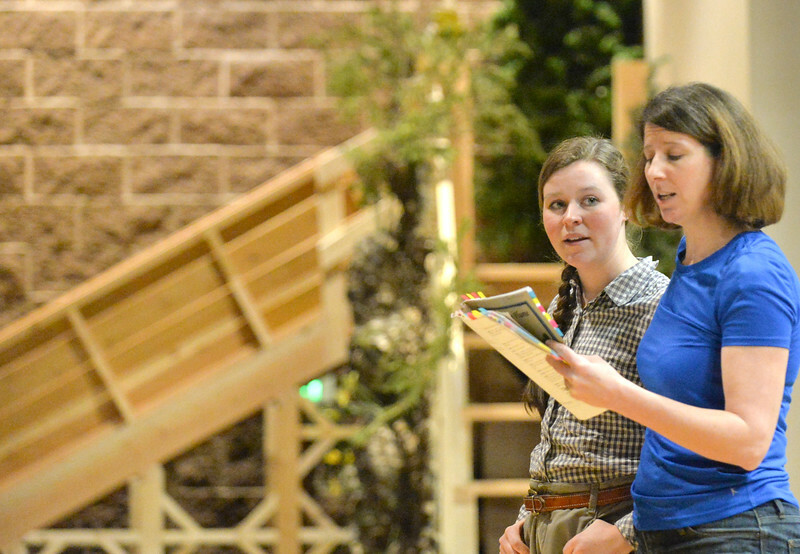 Tongue River student Heidi Henderson, left, runs lines with choreographer Joy McArthur during a rehearsal for “The Great Tie Flume” Tuesday at Tongue River High School. The play, written by Tongue River High School teacher Jason McArthur, focuses on life working on the tie flume in the Bighorn Mountains. The show is free, but tickets are required since seating is limited. Curtain opens March 7, 8 and 9 at 7 p.m. Dinner fundraiser is March 7 at 5 p.m. at Tongue River High School. Call Tongue River High School for tickets: 307-655-2236. 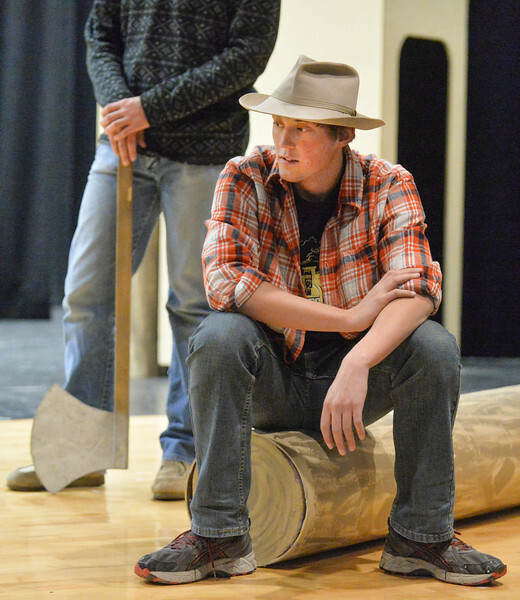 Tongue River sophomore Wyatt Yeigh sits on a log during a rehearsal for “The Great Tie Flume” Tuesday at Tongue River High School. The play, written by Tongue River High School teacher Jason McArthur, focuses on life working on the tie flume in the Bighorn Mountains. The show is free, but tickets are required since seating is limited. Curtain opens March 7, 8 and 9 at 7 p.m. Dinner fundraiser is March 7 at 5 p.m. at Tongue River High School. Call Tongue River High School for tickets: 307-655-2236. 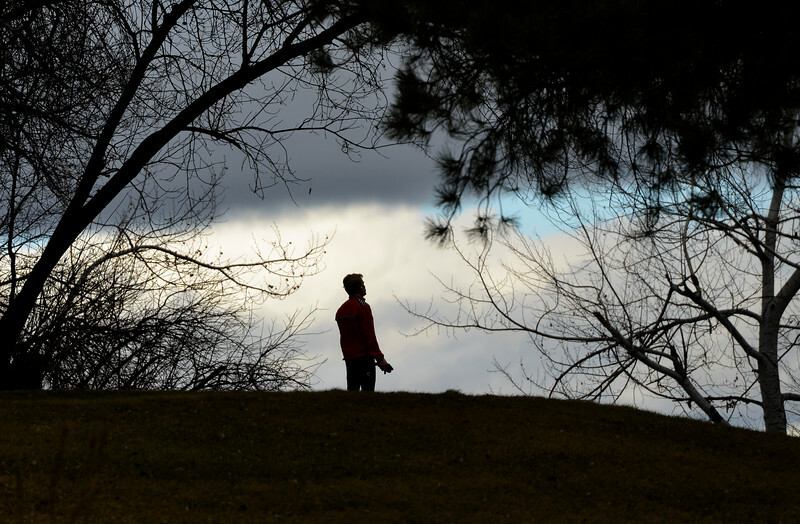 A jogger pauses on the hill at the Trail End State Historic Site above Kendrick Park Wednesday in Sheridan. Colder temperatures and 5 - 10 inches of snow are expected Thursday through Friday, according to a winter storm warning issued by the National Weather Service. 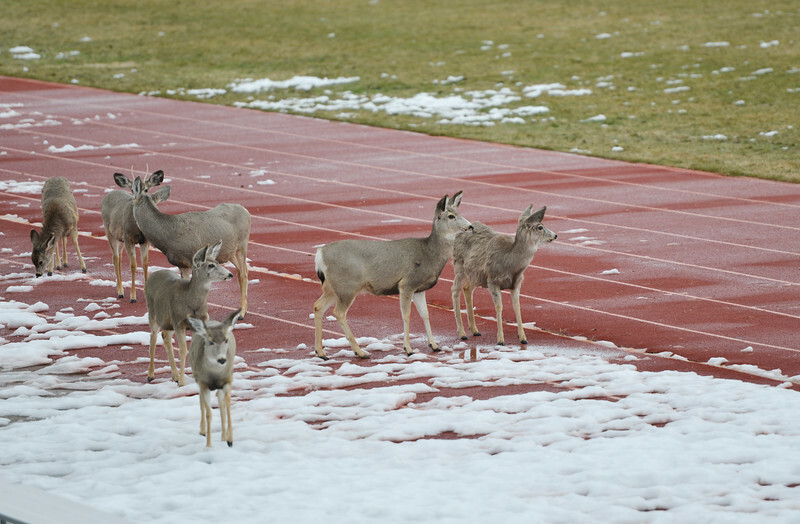 A herd of deer stand on the track at the Sheridan Junior High School Wednesday in Sheridan. Colder temperatures and 5 - 10 inches of snow are expected Thursday through Friday, according to a winter storm warning issued by the National Weather Service. 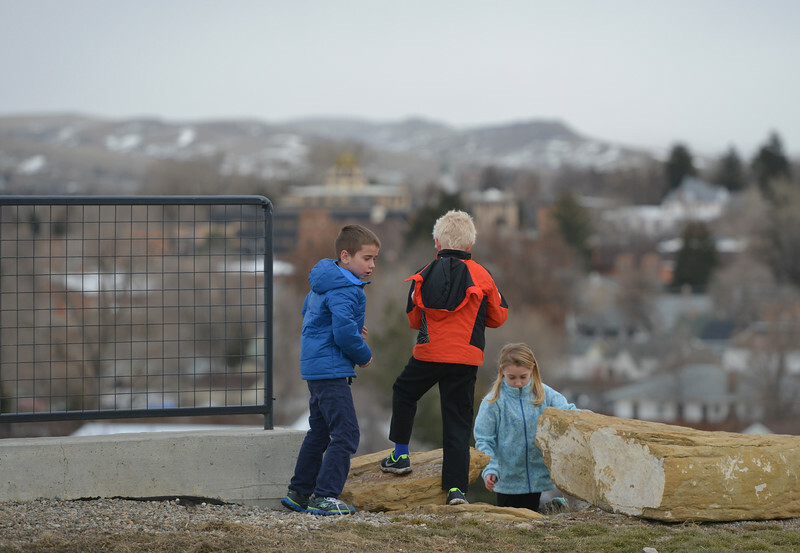 Eight-year-old Eric Venn, left, John Spielman and Abby Venn, 9, play on a rock by Sheridan Junior High School Wednesday in Sheridan. Colder temperatures and 5 - 10 inches of snow are expected Thursday through Friday, according to a winter storm warning issued by the National Weather Service. 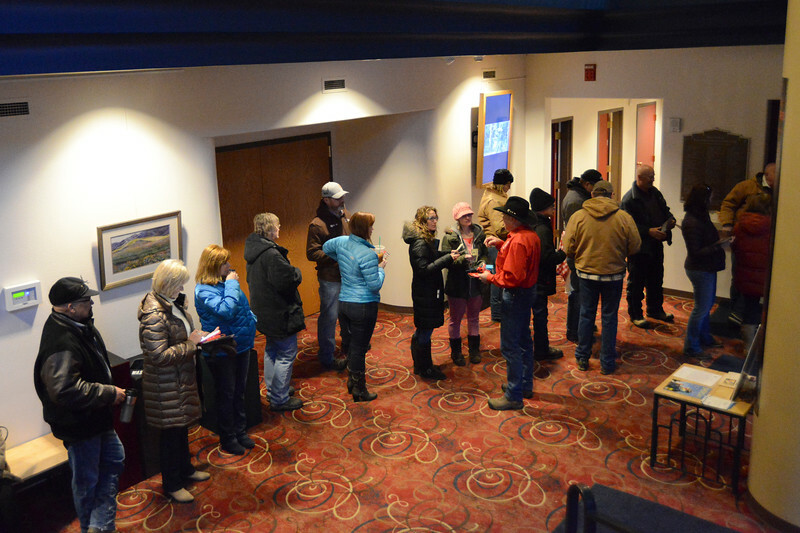 Rodeo fans line up at the box office to purchase tickets on the opening day for Sheridan WYO Rodeo ticket sales Friday morning at the WYO Theater. Every year rodeo fans are given the opportunity to buy the best seats hours before they are made available online. The Sheridan WYO Rodeo 2017 performances are July 12,13,14 and 15. Tickets may be purchased at the WYO Theater Box Office or online at sheridanwyorodeo.com. 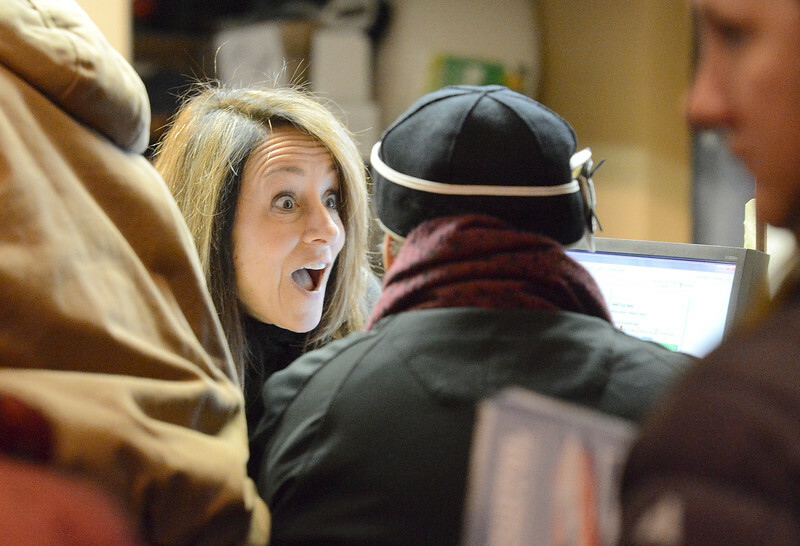 WYO Theater employee Pam Overton sells tickets to one of the first customers in line on the opening day for Sheridan WYO Rodeo ticket sales Friday morning at the WYO Theater. Every year rodeo fans are given the opportunity to buy the best seats hours before they are made available online. The Sheridan WYO Rodeo 2017 performances are July 12,13,14 and 15. Tickets may be purchased at the WYO Theater Box Office or online at sheridanwyorodeo.com. 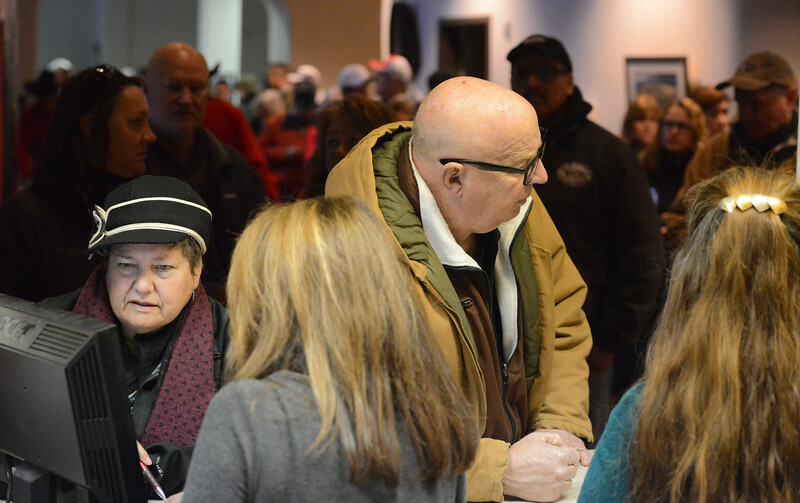 Robbi Smith, left, and Ken Heuermann purchase the first tickets on the opening day for Sheridan WYO Rodeo ticket sales Friday morning at the WYO Theater. Heuermann was waiting at the theater since 4:30 a.m. Friday. Every year rodeo fans are given the opportunity to buy the best seats hours before they are made available online. The Sheridan WYO Rodeo 2017 performances are July 12,13,14 and 15. Tickets may be purchased at the WYO Theater Box Office or online at sheridanwyorodeo.com. A girl looks at her phone under the bleachers during the Broncs basketball game Friday at Sheridan High School. 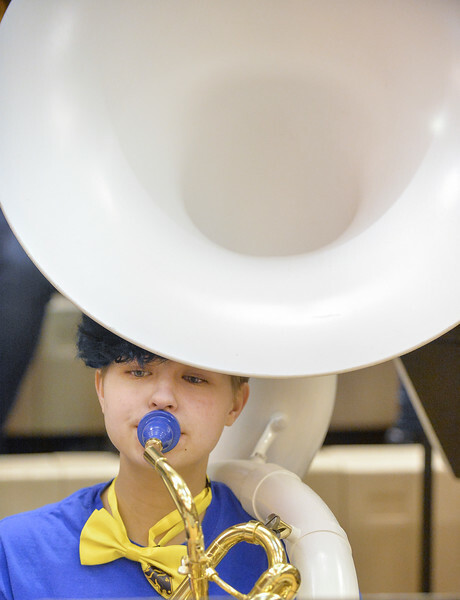 Sheridan sophomore Marissa Brenneman plays with the pep band during the Broncs basketball game Friday at Sheridan High School. 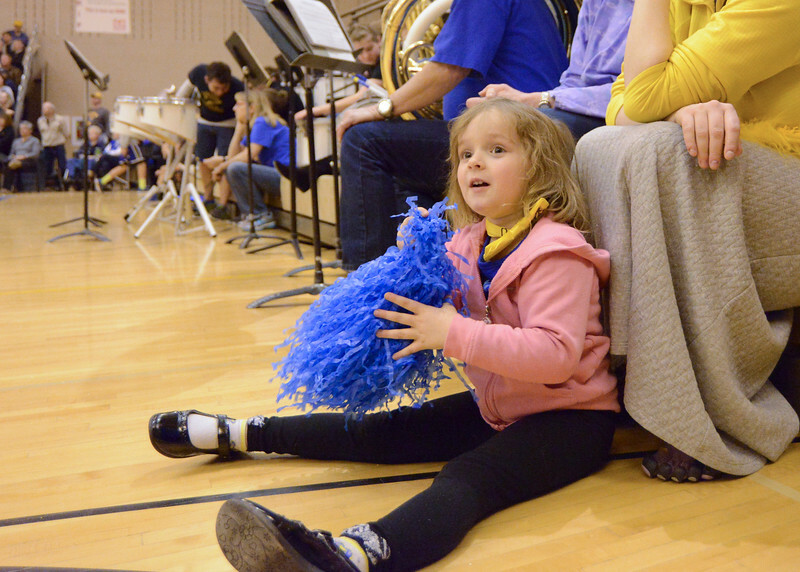 Four-year-old Evelyn Mullinax plays with pom poms during the Broncs basketball game Friday at Sheridan High School. 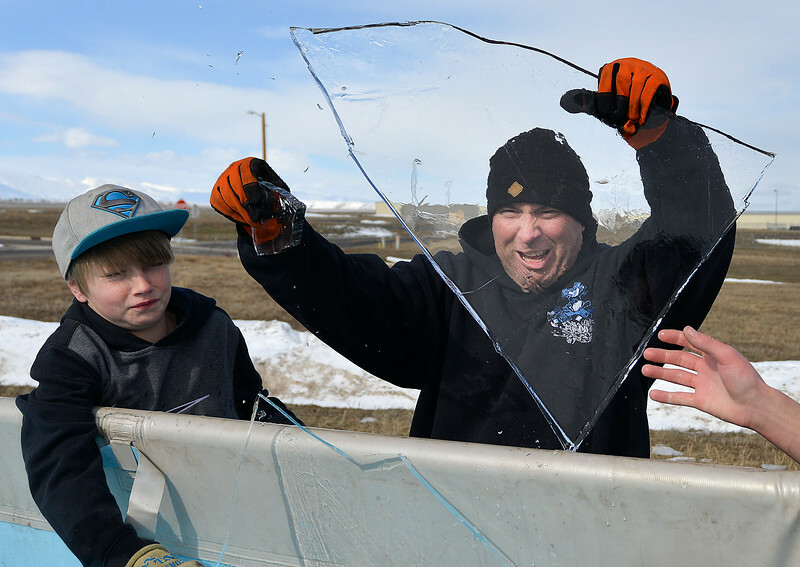 Fourteen-year-old Skyler Kilborn and Sheriff's Deputy Boot Hill react as a sheet of ice breaks away during preparation for the annual Jackalope Jump Saturday at Goose Valley Fire Department. A layer of ice formed over the pool overnight prior to the fundraising event. 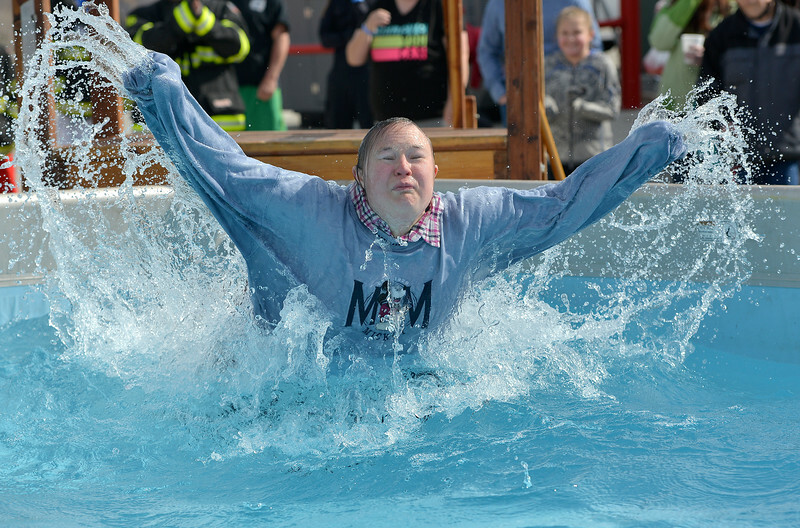 Special Olympics athletes, law enforcement agencies and volunteer firefighters jumped in the pool with at temperature of 38 degrees fahrenheit to raise money for the Wyoming Special Olympics. Participants prepare for the annual Jackalope Jump Saturday at Goose Valley Fire Department. 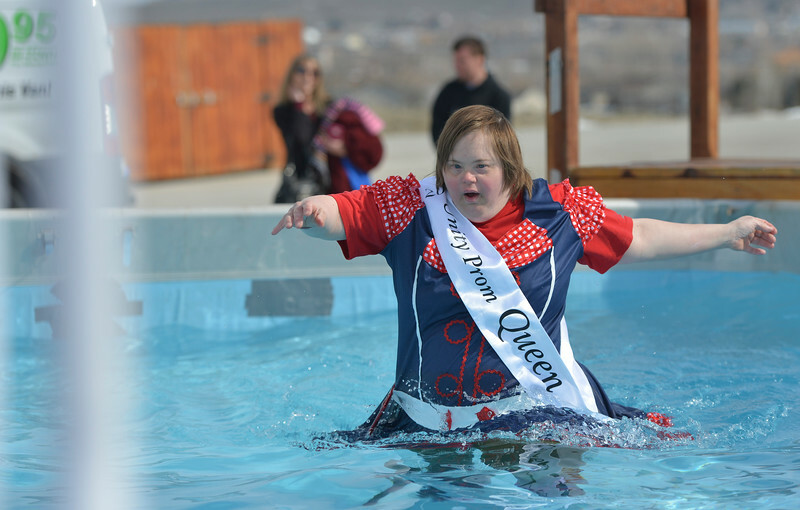 Special Olympics athletes, law enforcement agencies and volunteer firefighters jumped in the pool with at temperature of 38 degrees fahrenheit to raise money for the Wyoming Special Olympics. 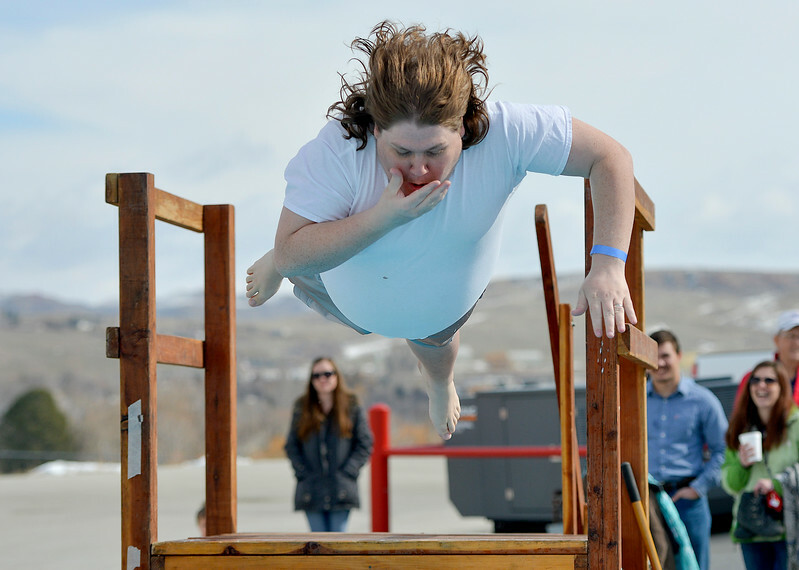 Jennifer Hoehne reacts after emerging from the cold water during the annual Jackalope Jump Saturday at Goose Valley Fire Department. 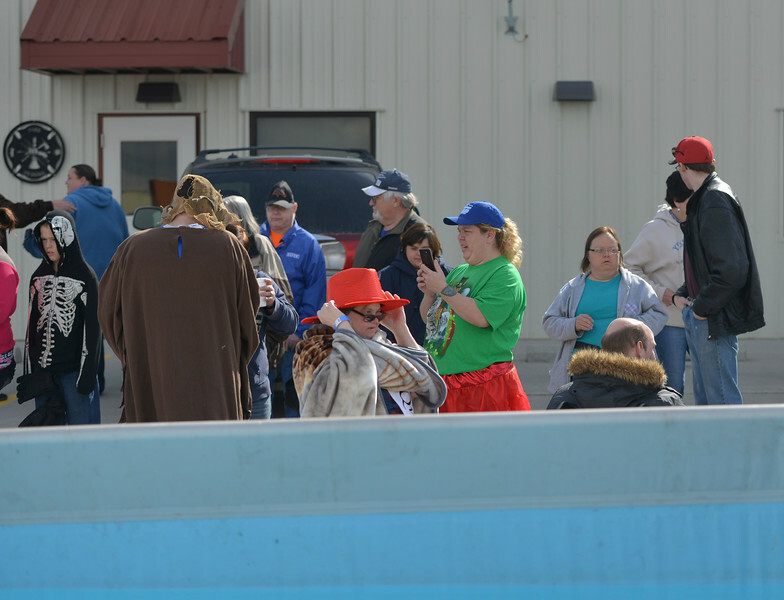 Special Olympics athletes, law enforcement agencies and volunteer firefighters jumped in the pool with at temperature of 38 degrees fahrenheit to raise money for the Wyoming Special Olympics. 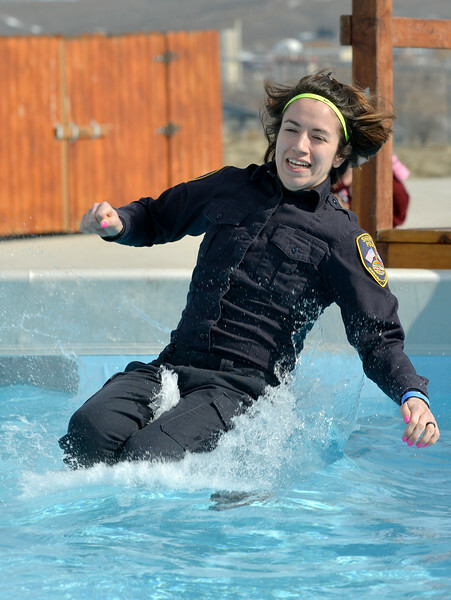 Sheridan Police Officer Annalisa Jones takes the plunge during the annual Jackalope Jump Saturday at Goose Valley Fire Department. Special Olympics athletes, law enforcement agencies and volunteer firefighters jumped in the pool with at temperature of 38 degrees fahrenheit to raise money for the Wyoming Special Olympics. 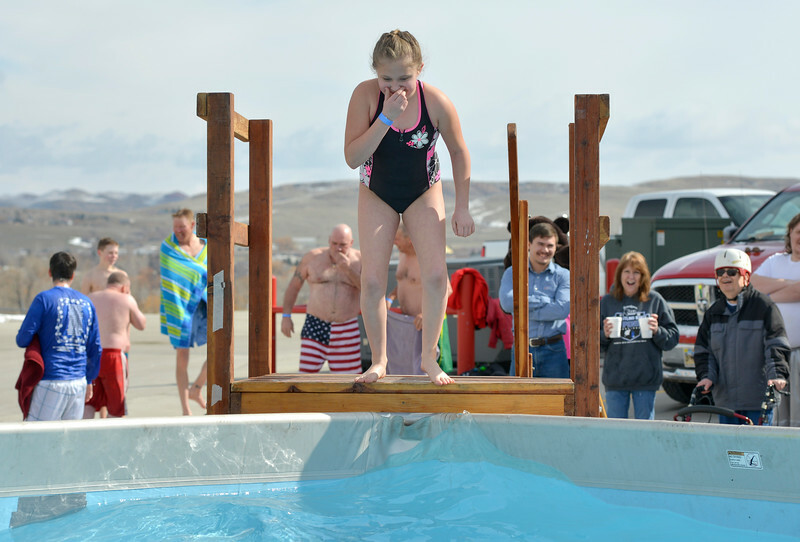 Nine-year-old Kaylah Pleines plugs her nose before leaping into the water during the annual Jackalope Jump Saturday at Goose Valley Fire Department. Special Olympics athletes, law enforcement agencies and volunteer firefighters jumped in the pool with at temperature of 38 degrees fahrenheit to raise money for the Wyoming Special Olympics. Tahia Grosch makes her way to the exit ladder during the annual Jackalope Jump Saturday at Goose Valley Fire Department. Special Olympics athletes, law enforcement agencies and volunteer firefighters jumped in the pool with at temperature of 38 degrees fahrenheit to raise money for the Wyoming Special Olympics. 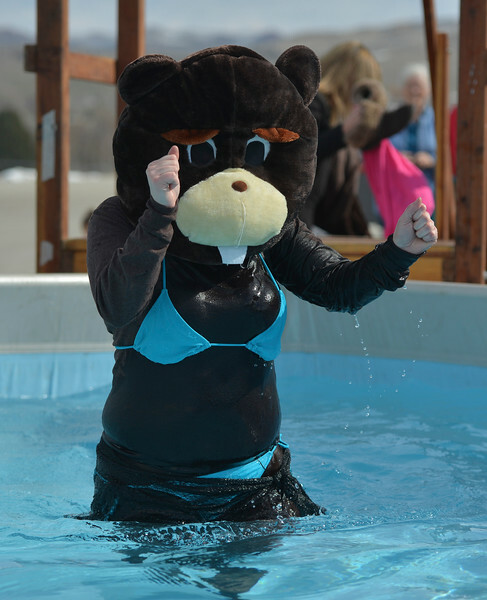 Life Steps of Wyoming mascot “Brook the Beaver” takes the plunge during the annual Jackalope Jump Saturday at Goose Valley Fire Department. Special Olympics athletes, law enforcement agencies and volunteer firefighters jumped in the pool with at temperature of 38 degrees fahrenheit to raise money for the Wyoming Special Olympics. Dallas Feaster does a bellyflop during the annual Jackalope Jump Saturday at Goose Valley Fire Department. Special Olympics athletes, law enforcement agencies and volunteer firefighters jumped in the pool with at temperature of 38 degrees fahrenheit to raise money for the Wyoming Special Olympics.